Highly motivated and energetic Leigh-Anne is a dynamic senior sales consultant with proven results! 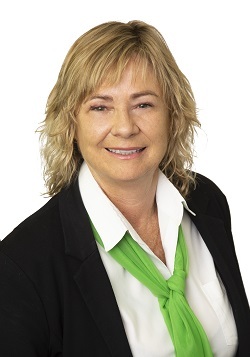 With over 30 years of knowledge and experience in sales, construction, investing, renovating, marketing and customer service, plus owning and operating two highly successful customer service business’s, and partnership of a successful civil construction business gives Leigh-Anne the all-round edge needed in all areas of REAL ESTATE EXPERTISE. Personally building two and renovating nine properties over the past 31 years, Leigh-Anne’s passion is helping family, friends and clients with her experience and knowledge to create a stress-free experience from Listed to SOLD with the highest possible result. Leigh-Anne provided a service that was well above expectation. She was always very professional and diligent throughout the whole selling process, with a great result. Could not ask for more. Thanks Leigh-Anne for all your hard work, much appreciated. Leigh-Anne, I would like to pass on my sincere thanks for all your help with the purchase of my property. Your professional and efficient manner helped resolve any issues that presented problems during settlement, & I found your ever-present positive attitude to everything fantastic and very re-assuring. I would not have any hesitation in recommending you to my friends or acquaintances for all their real estate needs.